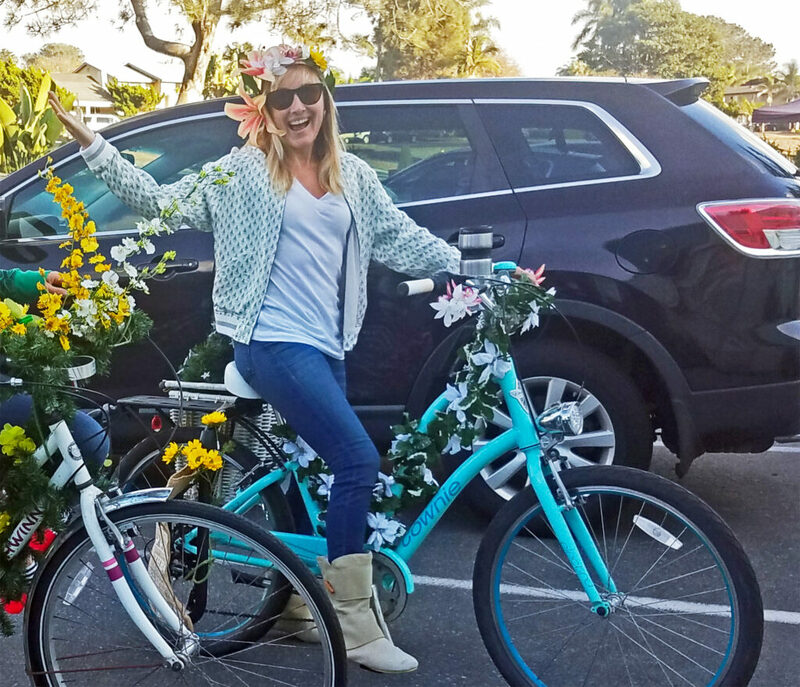 This week many Encinitas residents felt gut-punched by the tragic collision of a car and a bicycle ridden by Roberta Walker, executive director of the Cardiff 101 Main Street Association and a well known community activist. It happened after 6 a.m. on Saturday, December 8, in front of the post office on Coast Highway 101 in Leucadia. Roberta Walker at the Encinitas Holiday Parade on December 1. Roberta was apparently riding in the sharrow lane (“sharrow” is a blend of the words “share” and “arrow” and it means that cars and bikes can both legally use the lane) headed south on the 101, and a driver who reportedly didn’t see her hit her from behind. She remains in critical condition with head and spine injuries, as well as broken bones. 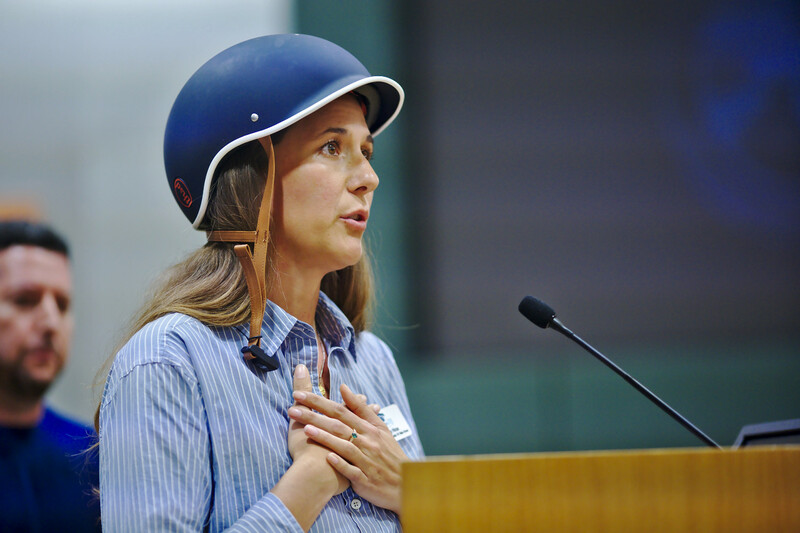 Roberta is an experienced cyclist, an avid pedestrian and bicycle advocate, and a well-known member of the community. 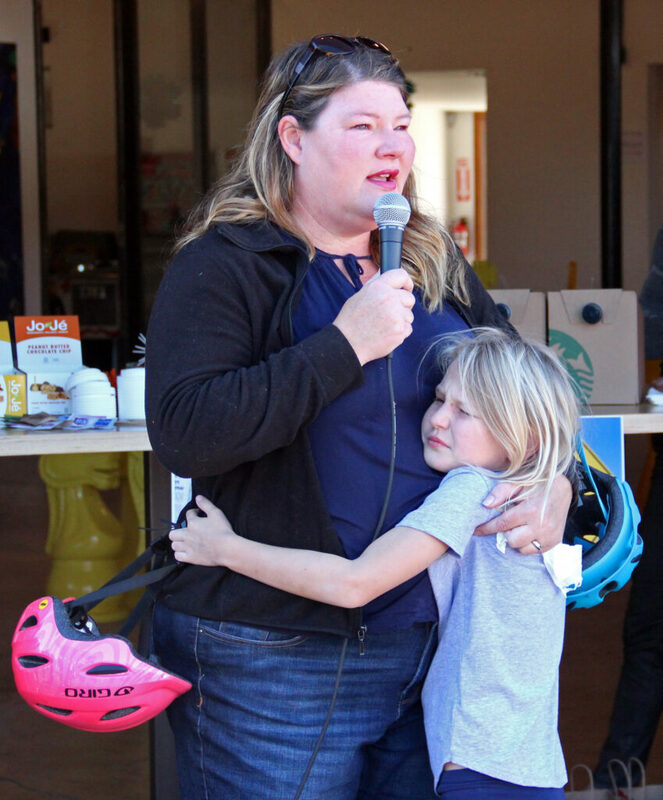 The emotional outpouring of support for Roberta and call for immediate improved safety on Highway 101 for all users rightly dominated our City Council meeting last week. Two dozen people spoke at the meeting in support of immediate commitments to reduce hazards on Coast Highway 101 in Leucadia and expediting the road improvement project known as Leucadia Streetscape, which the city recently received Coastal Commission approval to build. 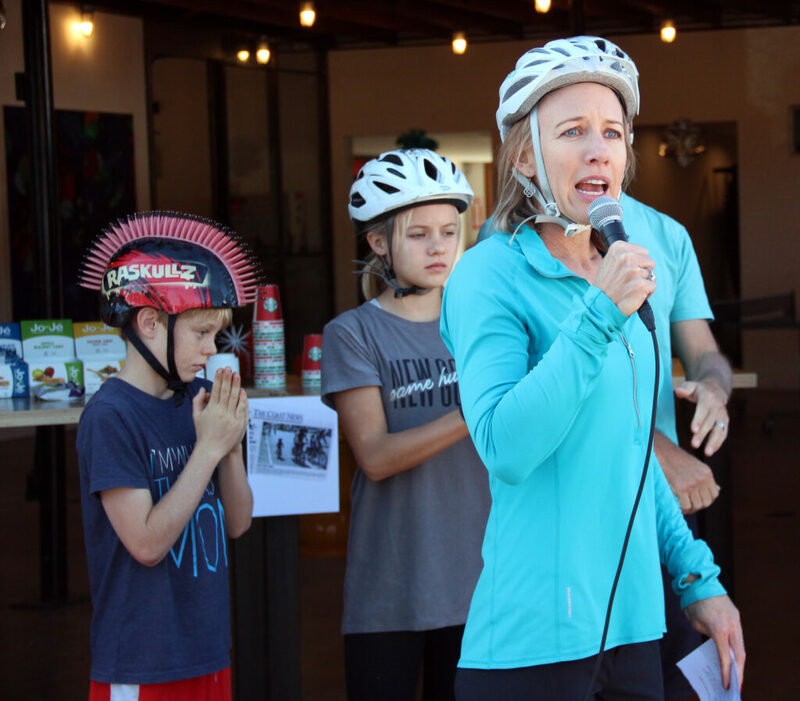 Among the speakers were Leucadia 101 Main Street Association Executive Director Kellie Shay Hinze (shown in the top photo by James Wang) and Encinitas business owner John Abate (bottom photo), who was was critically injured while riding his bicycle on Leucadia Blvd. and fully recovered. 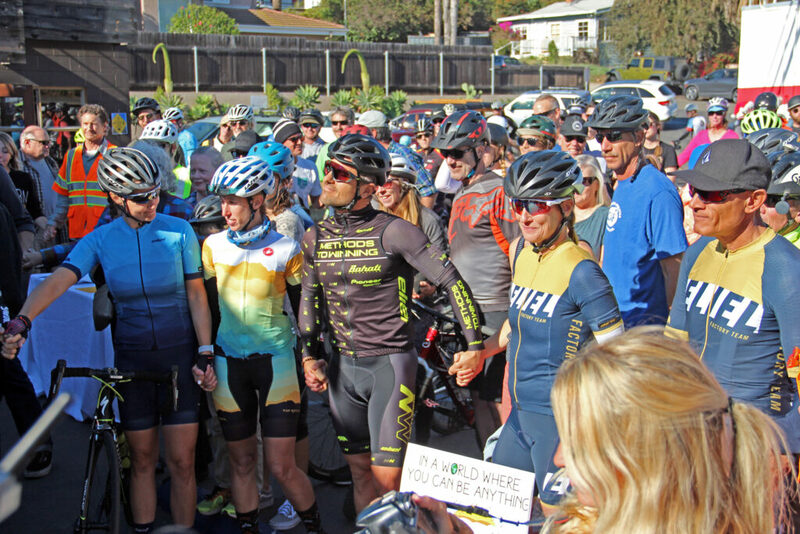 Yesterday morning, hundreds of Encinitas cyclists and well-wishers attended the Ride For Roberta in front of the Leucadia post office, where the accident occurred. 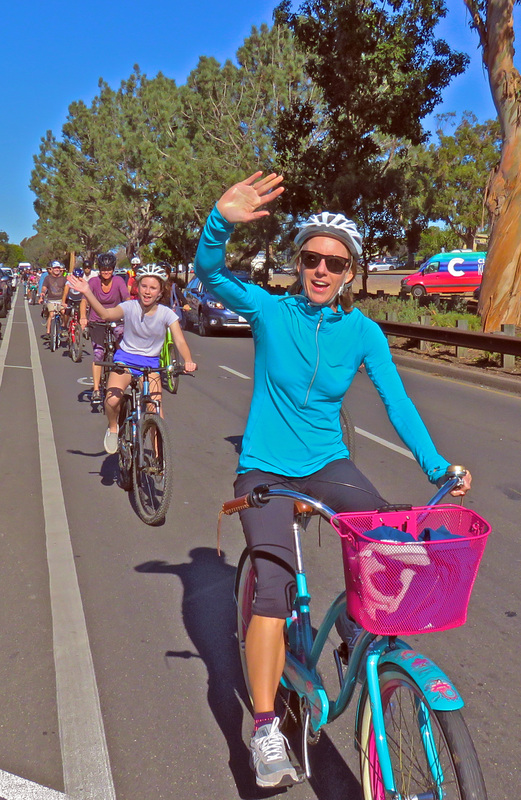 Besides the joy of cycling, the intention was to honor Roberta, send her healing support, and advocate for safer roadways in Encinitas. It was an emotional, inspiring and cathartic gathering for all of us, as the photos above show. James Wang’s video of my remarks to the gathering is here. 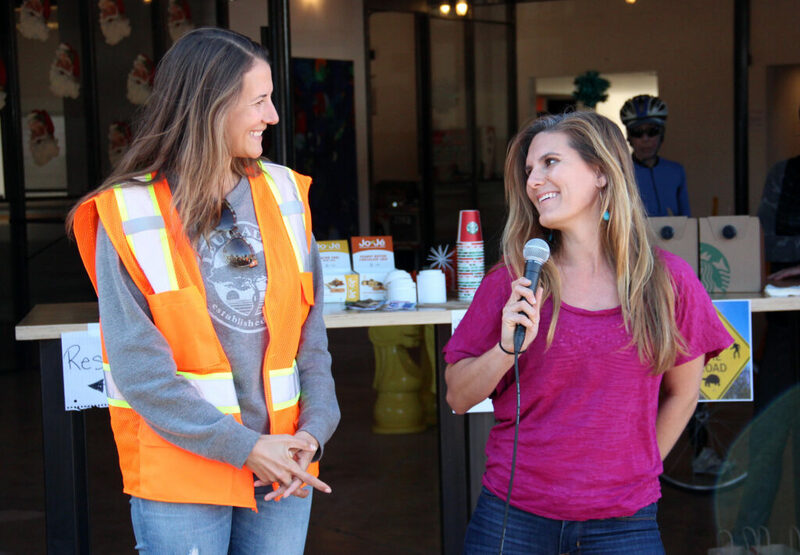 The Leucadia Streetscape project – which will improve safety and road conditions along 2.5 miles of Coast Highway 101 – won’t start until the fall of 2019 at the earliest, even under the most accelerated timeline. My challenge to my colleagues and the professional staff at the meeting was for us to implement immediate safety improvements, without jeopardizing or delaying the ultimate Streetscape project. 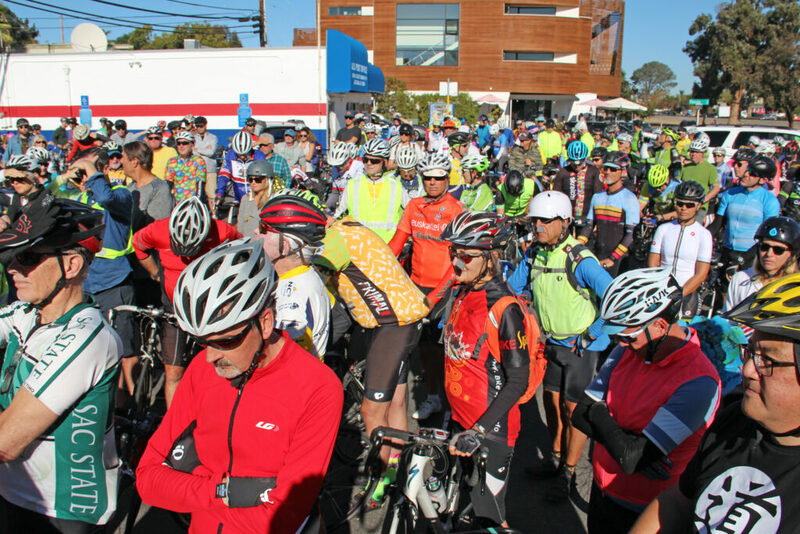 In Leucadia, I believe we need the creation of a dedicated bike lane to prevent cyclists and cars from sharing the same space. Also necessitated are better speed enforcement, more education about road safety, and spreading our Vision Zero message that no one should be unsafe on the streets of Encinitas. I refuse to accept that fatal or near-fatal bike and pedestrian collisions are simply the price we must pay to get around town. There is a wide range of valid opinions on whether we should make interim improvements and whether a bike lane is actually safer than a sharrow in this location. In the end, we directed staff to return to us at our next meeting on January 9 with a proposal for reasonable immediate safety improvements, and a plan for better speed enforcement and education. We also requested a detailed timeline for the Streetscape project. In the meantime, several community members and l, together with the city’s professional staff, have been heavily involved in expediting the Streetscape project by working to resolve several ongoing conflict points between our city and the North County Transit District, which operates the railroad. Getting seriously involved in the details and laying out the critical path ensures that the compressed Streetscape timeline is maintained and that the inevitable sticking points between agencies don’t create further delays. Today, Sunday, December 16, at 10:00 a.m., photographer and cyclist Jim Wang will be at Leucadia Roadside Park to record brief “Get Well Soon” videos for Roberta. And at 4:45 p.m. today, Sunday, there will be a Distance Healing Circle for Roberta at Beacon’s Beach in Leucadia. Daily updates on Roberta’s condition and other related news can be found here. 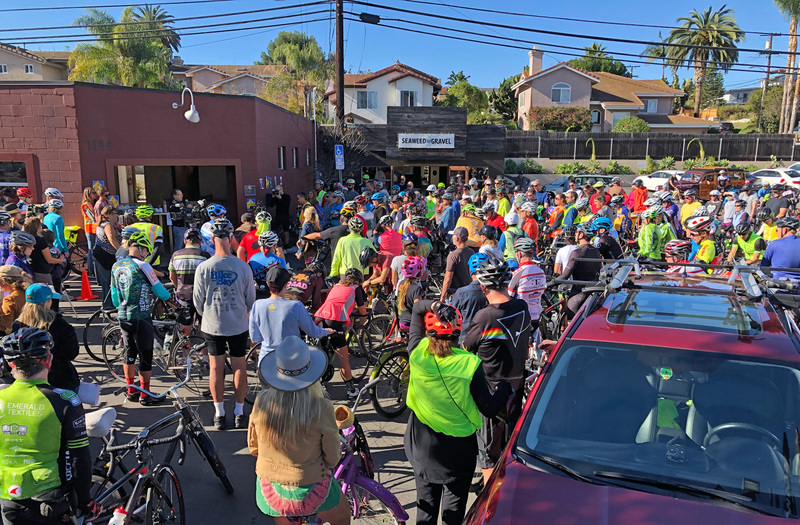 Stories about the accident and last week’s City Council response are in the San Diego Union-Tribune, the Encinitas Advocate, the Coast News, Fox 5 San Diego, 10 News San Diego, News about the Ride for Roberta is in the San Diego Union-Tribune and on News 8. This week Superior Court Judge Ronald Frazier, ruling on our housing lawsuits, ordered the city to comply with state housing laws by adopting an approved plan within 120 days. I found his six-page decision concise, clear and reasonable. Judge Ronald Frazier essentially ordered “limited preemption,” which means the City Council is prohibited from asking the voters to weigh in again on the plan during this housing cycle. Simply put, we must submit a plan that complies with state laws right away. Because we need the state to approve our plan before the City Council can adopt it, we directed staff that same day to send the plan to the state regulators immediately to get their comments. It will be a relief to have this housing plan handled by April. The reality is that we need to be focusing serious attention on the next housing plan. State deadlines come every eight years and we need to have the next plan finalized within one-and-a-half years. Details on the decision can be found in the San Diego Union-Tribune, the Voice of San Diego, the Coast News, and the Encinitas Advocate. I know it can seem unpleasant to have to consider the next cycle in the midst of our current housing fatigue, but it’s my responsibility to position us to comply with state laws and tackle realities, even when they are disagreeable. We need to get started. This week in a jubilant ceremony, we swore in three members of the City Council, (from left) Jody Hubbard for District 3, me as your mayor, and Joe Mosca in District 4. The council unanimously supported my nomination of Jody as our new deputy mayor. We also released the application to fill the vacancy created by Tasha Boerner Horvath’s ascension to the state assembly. Although the application is open to candidates citywide, I’m inclined to support someone who comes from District 2, which includes Old Encinitas and the southern portion of Leucadia. The city is better served by having representation in that district for the remainder of Tasha’s term, instead of leaving District 2 vacant and having another district represented by two people. In the 2020 election, candidates for District 1 (Leucadia) and District 2 will be on the ballot. You can find an application for the city council appointment here. To determine the district in which you live, access the map here. Candidates will be able to speak for five minutes each at our January 9 council meeting. We may make the appointment that night or choose to delay the decision until the following week. Also, we have several openings for commissioners, including a Cardiff Planning Commissioner (after Jody Hubbard’s win for City Council), and two Traffic and Public Safety Commissioners. Application for commission positions are here. 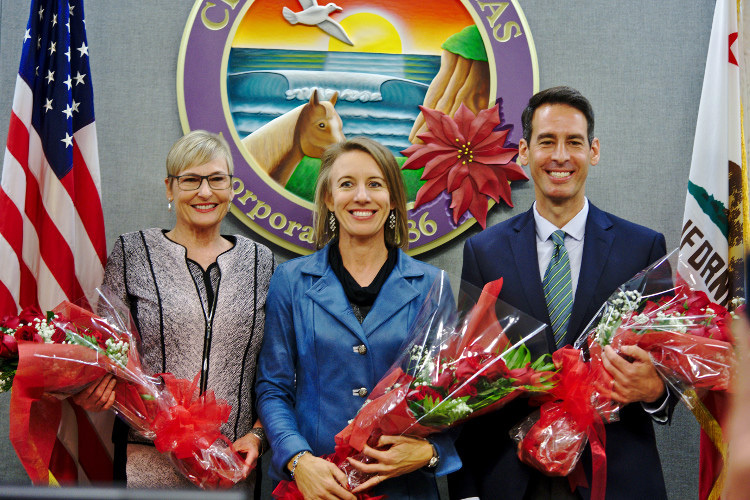 An Encinitas Advocate article about the council vacancy is here. I hope you have a celebratory holiday season surrounded by cheer, good will and a spirit of completeness. This newsletter and I will be taking the holidays off, returning fully refreshed to your inbox on Jan. 6, 2019! In Service and Happy Holidays!